Pushing myself too hard – . I knew it would happen as I pushed myself to my personal max but it felt so good! Sometimes it’s just too hard to slow down or stop, especially with things you really like. For some it’s chocolate, chips, all you can eat buffet, good wine – you name it. I had my moment yesterday morning and didn’t stop after the short run but did about 45 min of HIIT training on top of that, completely maxed out my energy level. It’s still hard to tell when I reached the max as this is a new routine and it takes some time before I know how to plan the other activities around it. Sounds kind of crazy if you’re healthy, but I rate ALL activities and give them energy points in order not to reach that level of exhaustion. As a result of this workout frenzy I could barely make it home and took a 4h siesta first thing, in my running clothes – only to sleep more than 9h last night and even more this afternoon. 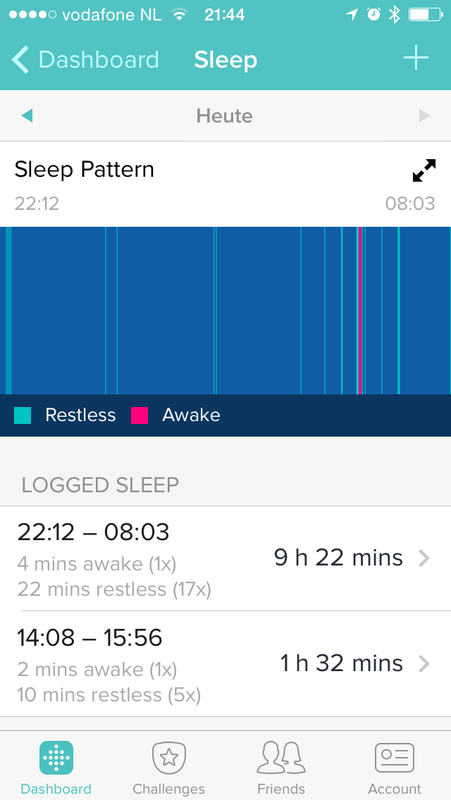 I guess I even broke my own sleeping record! Unfortunately it takes a long time to charge my batteries and it’s not that I’m really awake in between, the brain fog is there until I recovered. Bye bye concentration and memory! From now on it’s either or, not both workouts on the same day – but I’m not giving up running as I really want to finish the 5k run in April.